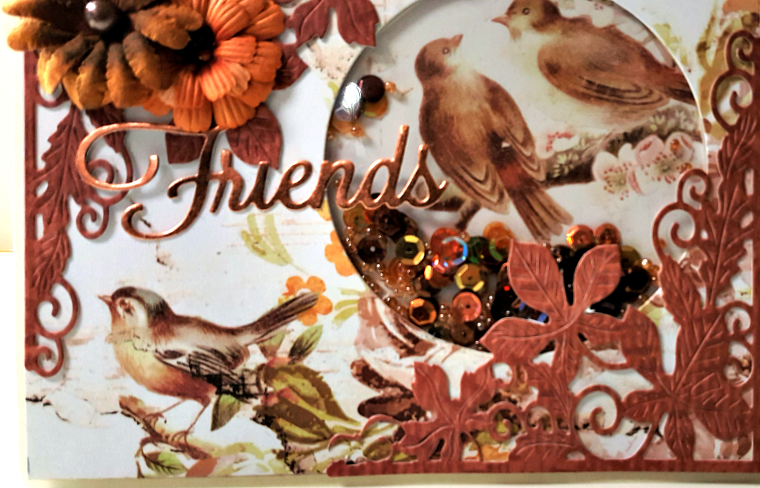 Today I have a fun Fall card to share with you, this can be given or sent for Thanksgiving to Friends . 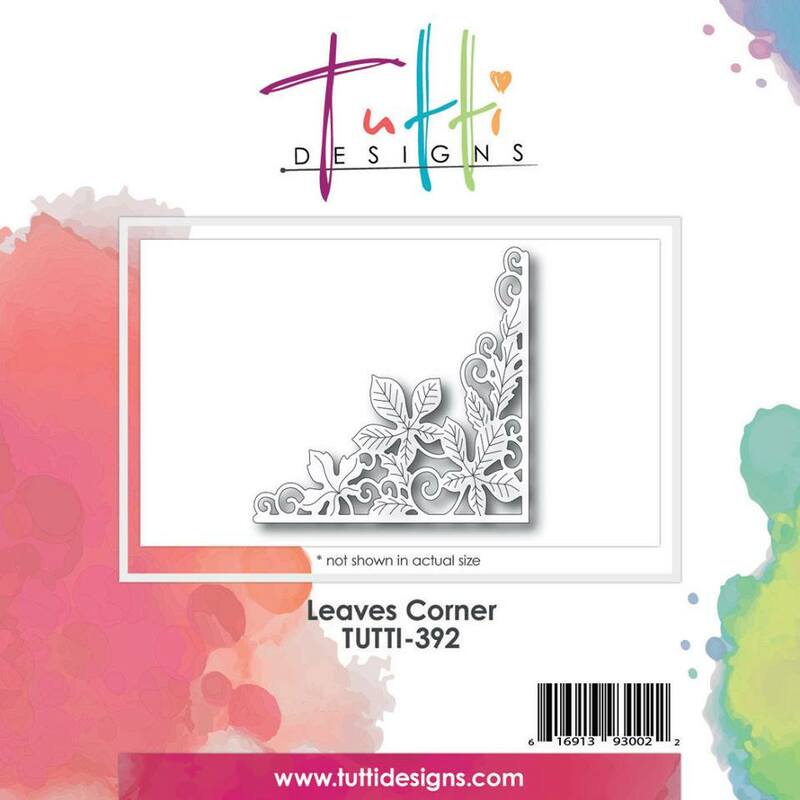 I really love this Leaves Corner Die by Tutti designs. 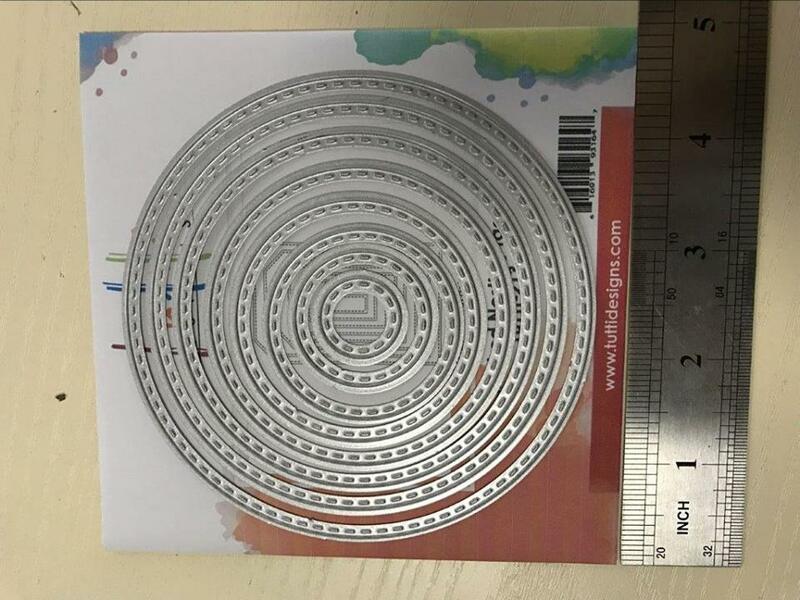 It frames cards or photos perfectly! To make this card I I used a white card base. I I used the Nested Stitched Circle dies to cut a circle in the top layer of my card. Adhere a piece of acetate to the back of the card front. I added foam tape to the back of the circle, making sure the circle was surrounded by foam tape. Add sequins and beads to the center and adhere the bird background to the card front. Adhere to the card base. Cut 2 Leaves Corner from coordinating paper and adhere them as shown. Die cut the Word Set - Friends from Copper Foil Card stock and adhere it to the Card as shown. This elegant card is ready to send. GORGEOUS creation using that corner die and clever how you did the shaker ... just beautiful! 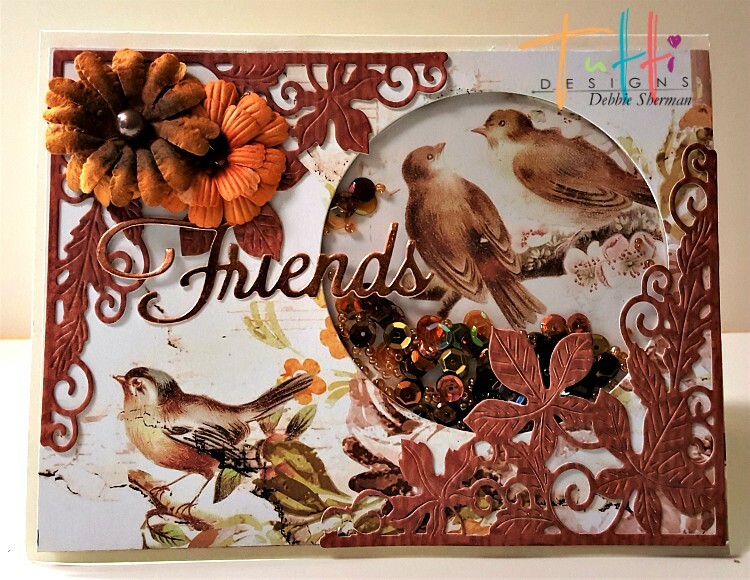 Beautiful fall shaker card, Debbie!